Talk With Yah-Tay: Happy 2013!!! Happy New Year!!! Yes, it’s 2013… Make this year a great year for you! Do those things that you’ve always dreamed of, put off or don’t quite know how to do. Be determined to find a way, and know that the way will be opened unto you. You must be diligent, persistent and resilient in your pursuit…. Yes ma'am...no excuses! Happy New Year! It's Time to BE about the BUSINESS of Making Things Happen!! 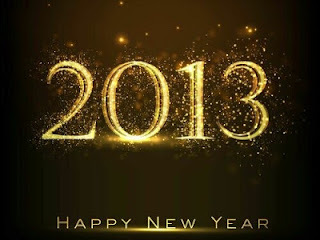 Happy 2013!!! You are the reason you are here. No one can do what you have come to do. The world awaits your unique gift. Do it. You can BE,DO,and HAVE what do decide. That is your gift to the world. JUST DO IT. Inauguration Day and MLK Day, Yay!! !